Come to Dickens Pub June 12 13. 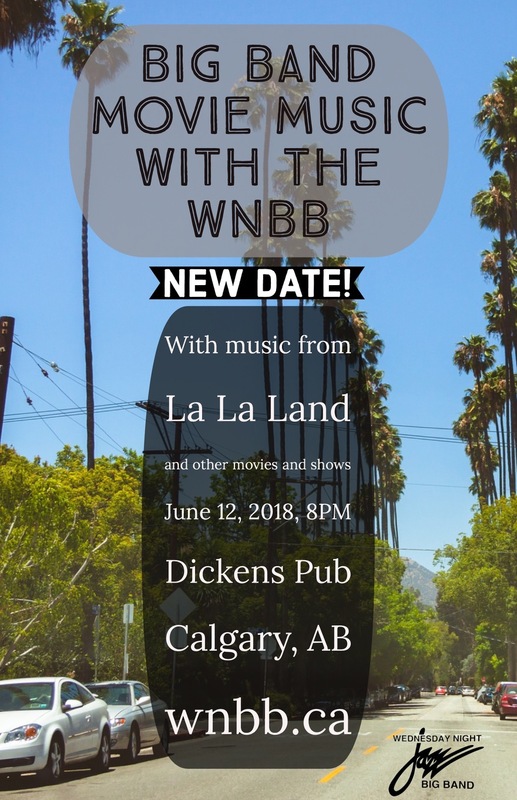 We are excited to announce our Movie themed concert. 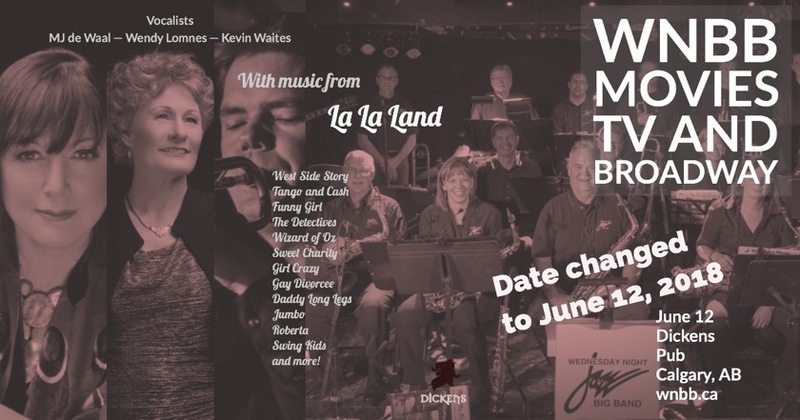 We’re playing a number of original arrangements of songs from the La La Land movie, with Wendy Lomnes, MJ de Waal and Kevin Waites singing. Ron Wrigley will be tinkling the keys playing Ryan Gosling’s role in the movie. Other songs from these shows and more!